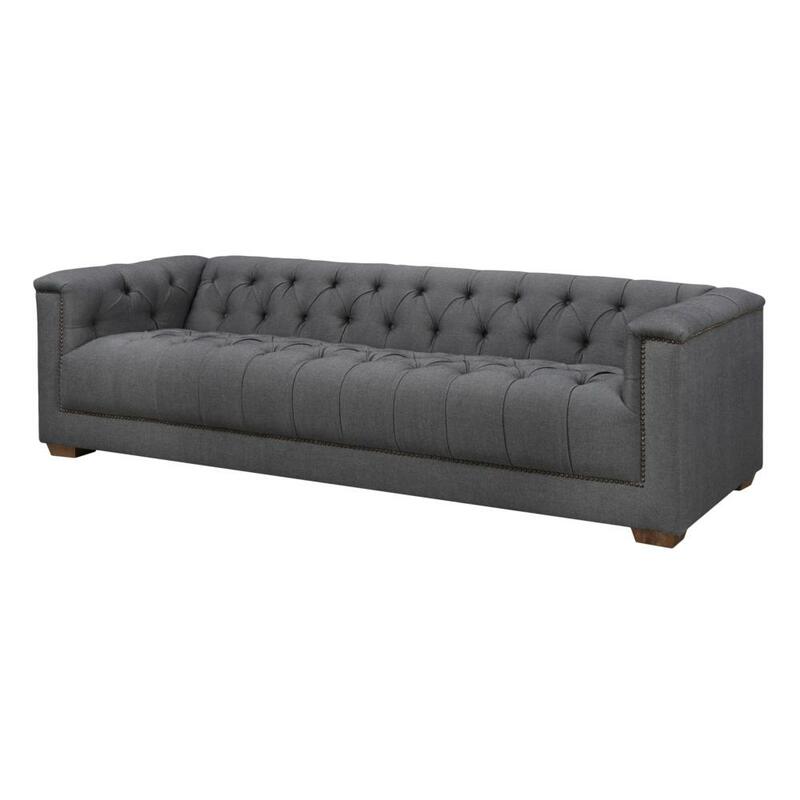 The Winston sofa is the perfect way to bring a sense of sophistication to your space. The generous button tufting and nail head trim give it a style that is truly classic. The grey polyester-linen blend upholstery is the perfect neutral base for any color palette.